Welcome to the new 7summits.com site. Use the left or drop-down top menu to navigate. New: Online climbing Gear Deals | New: Aconcagua 2014/15 dates! Book the best & most affordable Kilimanjaro expedition. Read our clients' comments. Kilimanjaro, Denali, Elbrus, Aconcagua, Carstensz Pyramid, Vinson & Everest. The seven summits are magical mountains that have been climbed by a select few. Follow your dreams here and join them! Find facts & figures, Pictures, stories, tips about gear, organized trips & expeditions to the seven summits, statistics, literature, videos and more. Your opinion counts in the voting booths and on the forum! "Except that the climber climbs the mountain not just to get to the top. He would try to climb it even if he knew he could never get there. He climbs it simply because he can have the solitary peace and contentment of knowing constantly that only his solitary nerve, will and courage stand between him and destruction." -- William Faulkner (The Mansion). (more quotes) . New: the 7summits.com Mount Everest Guidebook by Harry Kikstra. Practical, light & filled with information and pictures. Read more and see sample pages here. 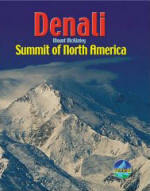 New: the 7summits.com Denali Guidebook by Harry Kikstra. Practical and light filled with information and pictures. Read more and see sample pages here. 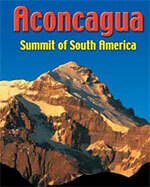 New: the 7summits.com Aconcagua Guidebook by Harry Kikstra. Practical and light filled with information and pictures. Read more and see sample pages here. See 7summits images on ExposedPlanet.com!